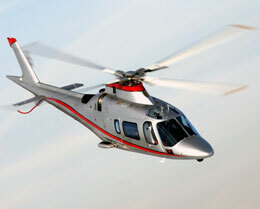 The AW109SP GrandNew is the latest derivative of the time-tested A109 series of helicopters, which were originally designed as a rescue mission aircraft in the 1970s. The original A109 utilized twin Allison 250-C20 turbines, but has since been modernized and updated for many different types of missions. 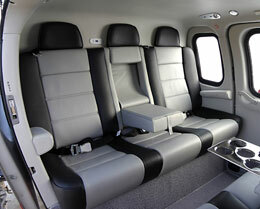 Before the AW109 GrandNew was certified in 2011, the AW109E Power was the most modern A109 derivative. First flying in 1995 and subsequently certified in 1996, the AW109E Power still remains in service today, despite no longer being the most modern in the family. The GrandNew takes its name from its hugely successful predecessor, the Grand, which was known for its excellent performance, interior space, reliability, and economy. The GrandNew features pivotal technological advances while staying true to the efficient design and performance of the Grand. As a result, the GrandNew successfully integrates modern innovation with its predecessor's time-tested strengths, without losing sight of what made it great in the first place. The AW109 GrandNew was the very first helicopter to earn European Aviation Safety Agency certification for precision approaches using SBAS (Satellite-Based Augmentation System) and LPV (Localizer Performance with Vertical guidance). This provides operators with the additional flexibility of being less dependent on ILS (Instrument Landing Systems) in poor weather conditions, which would normally be required. Overall, both the AW109E Power and the AW109 GrandNew have been quite successful, earning hundreds of orders from dozens of countries across the globe. Standard missions for the AW109 GrandNew include VIP transport, emergency medical services, maritime operations, SAR, and corporate transport. State-of-the-art Inlet Barrier Filter (IBF) systems are available to both the AW109E Power and AW109SP GrandNew, which significantly reduces operating costs and prevents excessive wear on the engine. In short, any mission that the Grand could competently accomplish, the GrandNew can do even better. One of the most significant upgrades the GrandNew possesses is its brand new glass cockpit featuring an advanced avionics system that was not previously available in the Grand. This fully-digital avionics suite incorporates intuitive displays for single or dual pilot setups and provides numerous navigation systems to assist the operators in maintaining total situational awareness while managing the flight. The systems supported by the cockpit's avionics include an Electronic Flight Instrument System (EFIS), Helicopter Terrain Awareness Warning System (HTAWS), Flight Management System (FMS), as well as several other instruments that reduce pilot workload and increase flight safety. Each of these features works in conjunction to create an easily manageable operating experience and enables the pilot to automate systems that do not require constant attention. Altogether, both the AW109SP GrandNew and the AW109E Power are excellent options for a variety of missions that only the most versatile of aircraft can handle. 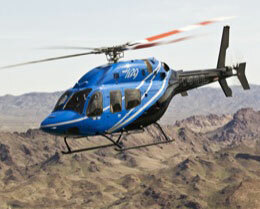 They are both modernized derivatives of a time-tested, reliable, and hugely successful helicopter model. 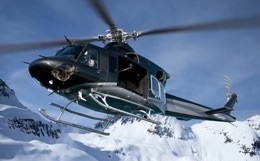 For more information about chartering, leasing or buying a AW109 Power please contact us by calling +44-20-3874-8091 or send us an email here.